The Seal is presented to surgeons and facilities dedicated to high-quality patient care. 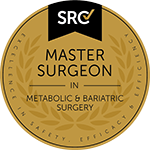 The Surgical Review Corporation is an internationally recognised and independent healthcare quality organization and the world's leading administrator of center of excellence (COE) programs for surgical specialties. The organisation's programs are focused on improving the safety and quality of patient care, and lowering the overall costs associated with successful treatment. 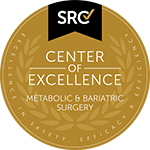 The COE programs that SRC manages are either administered on behalf of professional societies or endorsed by a specialty's medical association. SRC's oversight ensures that the programs are free of bias and participant confidentiality is protected. Bariatric Surgeon of Excellence (BSOE) and The International Centre of Excellence (ICE) is awarded to surgeons who have achieved the high standards required of Surgical Review Corporation's evaluation process. Website SearchKnow what you are looking for?